We were saddened to learn of the recent death of James Jackson, GCI member, deacon and former Ambassador College employee. James was born in 1925 in Arkansas. 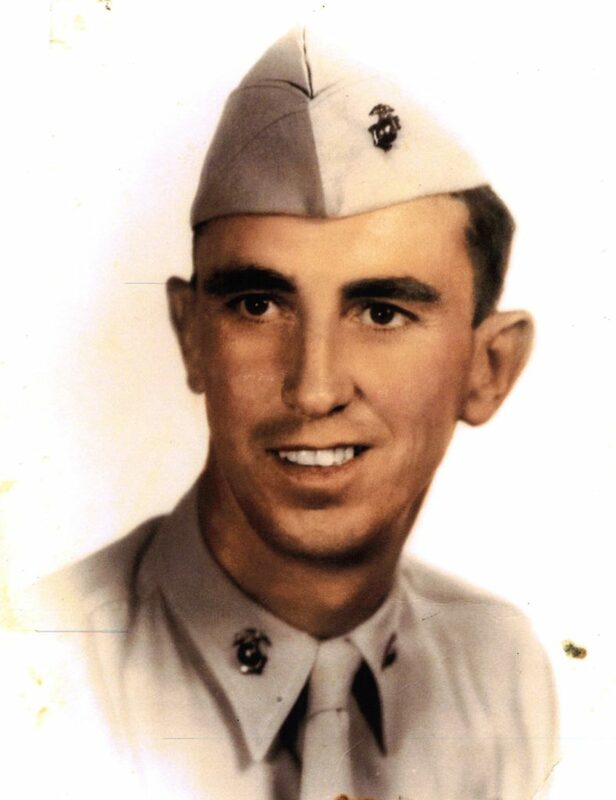 He joined the U.S. Marine Corps in 1944 and served in the Central Pacific, Japan and then during the Korean War where he was wounded in combat and received the Purple Heart. He returned stateside in 1952 and married Esther Glover. In 1958 he was honorably discharged from the military and went to work for Ambassador College in Pasadena, CA. He and his family then moved to Big Sandy, TX, in 1964 and James worked at the newly opened Ambassador College campus. He retired in 1990 after 26 years of service. James also served for 55 years as a deacon in GCI’s Big Sandy, TX, congregation. He helped care for the widows and led the Silver Ambassadors. That James also actively served the community is evidenced by twice receiving the Big Sandy Senior Citizen of the Year award, and once receiving the Christian Community Service Award. The Texas Highway Department also honored James for his work leading the Big Sandy congregation in picking up litter along local highways. James is survived by his wife Esther Ann Jackson, a son, two daughters, seven grandchildren and seven great-grandchildren. Always a kind and caring gentleman, he exemplified the Marine Corps motto: Semper Fidelis (Always Faithful). I worked under James in the Landscape Dept in Big Sandy 65-69. It was so great to see him in 95 while attending a class reunion and church service on the AC Campus. I was humbled that he remembered me – he greeted me warmly with a big smile and hug. I was so glad to see him still active and serving the church. What a blessing he was to so many. Our thoughts and prayers are with you and your family. I knew James Jackson fairly well. He was a kind, gentle, hard-working servant who welcomed everyone, even wet-behind-the-ears young people like me. I’ve admired him for many years and look forward to seeing him again one day. Prayers for the family and the community as all mourn his loss. I well remember James Jackson during my Imperial High School days in Big Sandy, TX in the mid-sixties. I worked on the landscape crew during the summers and on weekends mowing lawns on campus. He would often take us on the back of an old blue college pick up to various work projects and then pick us up for lunch and at the end of the day. Interestingly, I don’t recall him ever talking about serving in the Marines and certainly nothing about receiving a Purple Heart. He was always an encouraging and helpful supervisor. I was one of those single moms with my five little children that Mr. Jackson (I always called him Mr. Jackson) helped when we lived in Gladewater. Years afterward when I visited the church im Big Sandy, he was one of the people I always hoped to see. What a fine Christian man. I will be one of the many who will miss him. Love and condolences to Esther.